One of my favorite ingredients to cook with is mushrooms. Sure, mushrooms are kind of weird. I mean, they are definitely weird because they are fungi. They’re rubbery and spongy when raw, and in my opinion, not very flavorful (except some of those fancy wild mushrooms, or mushrooms that have been freshly foraged, but who’s got time for that??). But, if you toss them in a hot pan with some olive oil and garlic and cook them down, you are treated to one of the most delicious foods on the planet! The smell of mushrooms cooking in olive oil or (vegan) butter, with garlic and fresh herbs, is one of my favorite scents. If it were acceptable, I would bottle up that scent into a perfume and spritz it on my neck and wrists daily. I’d probably call it Shiitake No. 5. Anyways, now that I’ve gone on and on about mushrooms, let’s talk about this Creamy Vegan Mushroom Stroganoff. First of all, what is Stroganoff? It’s a rich meat-and-cream stew from Russia (not surprising, Russians love their meat). Traditionally, stroganoff uses beef and sour cream, which if I’m being perfectly honest, even before I became vegan, that combination sounded gross. But, of course, my version of this classic Russian comfort food is 100% vegan and way healthier, but no less comforting. I’m really excited to share this recipe with you because it was one of the most delicious dishes I’ve made recently. It was so good that Mr. RainbowPlantLife, who is often squeamish about mushrooms, couldn’t stop eating bowlfuls of it, and even interrupted my photo shoot to ask if he could eat the bowl I was photographing. I said no, obviously. Our love runs deep, but not that deep. I of course gave him the bowl after the photo shoot because I’m not a monster (see bowl below). As with most of my savory recipes, the key to making this dish is to layer in flavor at various stages of cooking. The recipe starts pretty simply, by browning some aromatics in olive oil. Along with a generous amount of garlic, I use leeks because I think the combination of sweet leeks and meaty mushrooms is irresistible. If you can’t find leeks, just use a yellow onion (or shallots) instead. Then I dump in a hefty dose of mushrooms (over a pound) to make this a really hearty sauce. Regarding mushroom variety, I used about 70% brown button (cremini) mushrooms; for the remaining 30%, I used a shiitakes mushrooms. I like this combination because using the everyday mushrooms for the bulk of the recipe keeps the price down, while the addition of shiitakes adds a robust, meaty flavor. The mushrooms get seasoned with thyme (another classic pairing) and some salt. Be sure to wait until the last minute of cooking the mushrooms to add the salt. This is important because mushrooms are very watery, and adding salt at the beginning will draw all that moisture out, which will prevent them from browning. The next layer of flavor comes from a roux-like mixture made of flour, vegetable broth, tamari, and Worcestershire sauce. If you were wondering if Worcestershire sauce is vegan, typically it is not vegan or even vegetarian, as it’s made with anchovies. However, there are some vegan Worcestershire sauces available on the market, like this one from Annie’s and another one from a Wizard company, but the ingredient is optional. If you are gluten-free, you can use gluten-free all-purpose flour, or substitute in half the amount of cornstarch. Next comes the star ingredient behind this incredibly creamy and rich sauce: full-fat coconut milk. I will say that you can use “lite” coconut milk if you must, though the results will be less divine. 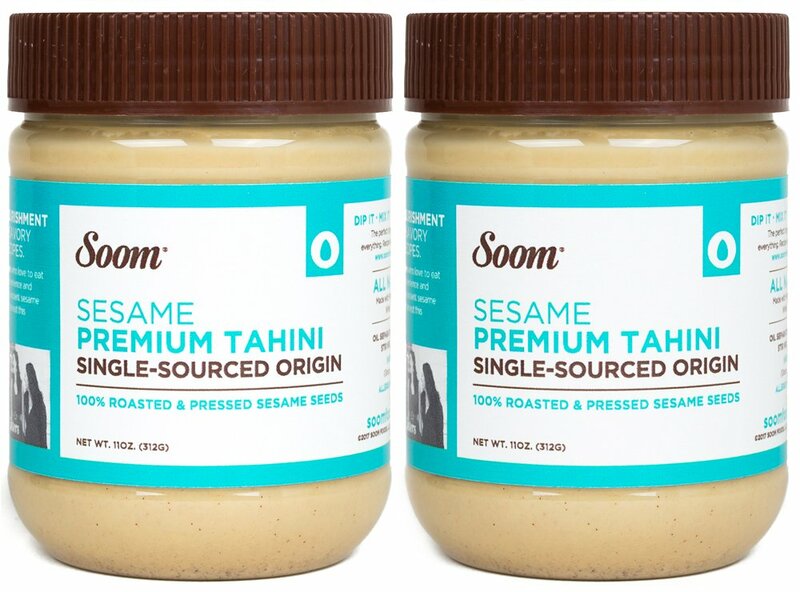 Along with the coconut milk comes even more flavor in the form of nutritional yeast, which adds a slight cheesy taste, and tahini, which adds a nutty taste and even more creaminess. After cooking, the sauce gets hit with a bit of Dijon mustard. I like to finish almost all of my savory dishes with a bit of acid (err, a bit of an acidic ingredient) because it freshens up the richness of the dish and balances out all of the flavors. The final step is to toss your hot cooked pasta with the mushroom stroganoff sauce. I used plain old fettuccine because that’s what I had on hand, but feel free to use a gluten-free pasta such as brown rice pasta, a lentil- or bean-based pasta, or even your favorite grain, such as quinoa or millet. **You can also substitute your favorite grain instead of pasta. I recommend millet, quinoa, or brown rice. Bring a large saucepan of salted water to a boil. Cook the pasta according to the package instructions. Drain and keep warm. If needed, toss your pasta with a bit of oil to prevent sticking. Heat large sauté pan with deep sides (or a Dutch oven) over medium-high heat and add 1 tablespoon of the olive oil. Once the oil is shimmering, add leeks and sauté for 2-3 minutes, stirring occasionally, until lightly browned. Add the remaining 1 tablespoon of olive oil, along with the garlic, mushrooms, and thyme, and stir to combine. Sauté for 4-5 minutes or until the mushrooms are lightly browned and tender. Add 1/2 teaspoon of the kosher salt and cook for one more minute. While the mushrooms are cooking, mix together the vegetable broth, tamari or soy sauce, Worcestershire sauce (if using), and flour or cornstarch in a measuring cup or bowl, whisking to combine. Pour the white wine into the pan with the cooked mushrooms, and use a wooden spoon or flat-ended spatula to deglaze the pan by scraping up any brown bits on the bottom of the pan. Allow the sauce to simmer for 3 minutes, or until the smell of alcohol has dissipated and the wine has mostly evaporated. Pour the vegetable broth-flour mixture into the pan and whisk to combine, ensuring there are no flour clumps. Bring to a simmer, then pour in the coconut milk, tahini, nutritional yeast, the remaining ½ teaspoon kosher salt, and paprika. Bring to a simmer over medium-low heat. Cook for 10 minutes, until the sauce is thickened and very creamy. Stir in the Dijon mustard and taste for seasonings, adding more salt as needed. Garnish with parsley and vegan Parmesan if desired.